An innovation and enterprise precinct that could be the future home of an INXS Music Museum will be developed near Ballina airport, with the NSW Government announcing $3.95 million from the Growing Local Economies fund for the project. 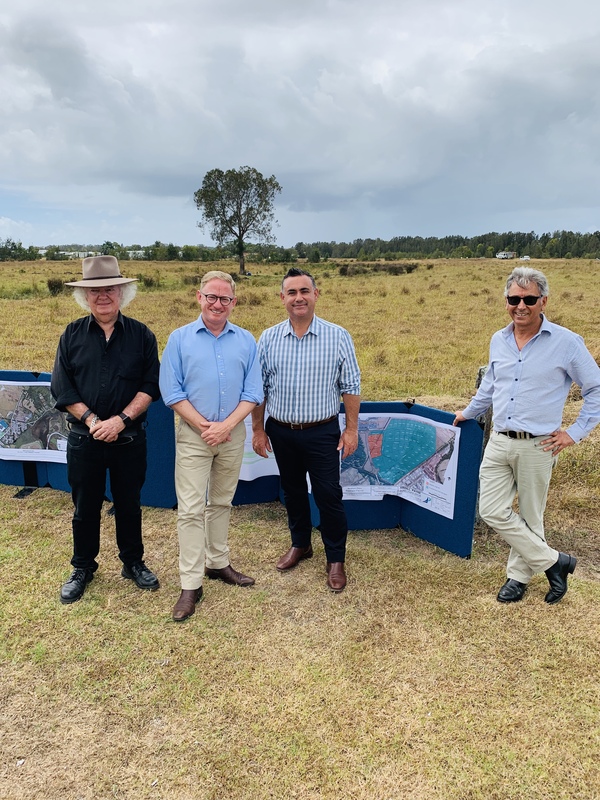 Deputy Premier and Minister for Regional NSW John Barilaro and NSW Nationals Candidate for Ballina and Parliamentary Secretary for Northern NSW Ben Franklin said three hectares would be developed initially, creating serviced industrial lots close to the Ballina Byron Gateway Airport. “Positioning this precinct near Ballina airport, the second largest in regional NSW and still growing, will give businesses a tremendous advantage, providing them with convenient access to freight routes as well as arriving tourists,” Mr Franklin said. “There is a great demand for more industrial land close to the airport and a number of potential business investors have already expressed interest in setting up their operations in the new innovation precinct. Mr Franklin said the proposed X Building, which could house the INXS Music Museum as well as an arts, business and entertainment hub, would provide a tremendous boost to the local tourism economy. “INXS took Australian rock to the world and captivated the planet for more than three decades, selling more than 55 million albums globally, and I look forward to seeing how plans for a museum paying tribute to them progresses,” Mr Franklin said. Mr Barilaro said the NSW Government was taking action to provide businesses with the infrastructure they need to succeed, allowing them to focus on expanding their operations and creating new jobs. “We are continuing to work with communities to invest record amounts of money into infrastructure and services so more people can realise the potential of our regions, and this innovation and enterprise precinct will do just that,” Mr Barilaro said. Development of the precinct, which will be co-funded by the Ballina Shire Council, is expected to be completed by 2020. The $500 million Growing Local Economies Fund is part of the $1.6 billion Regional Growth Fund, which is delivering the economic, infrastructure and lifestyle improvements that make regional NSW a great place to live, work and play.